Valerian and the City of a Thousand Planets is just over half a year away and director Luc Besson is today sharing his best wishes for 2017 with a look back at the film’s production. 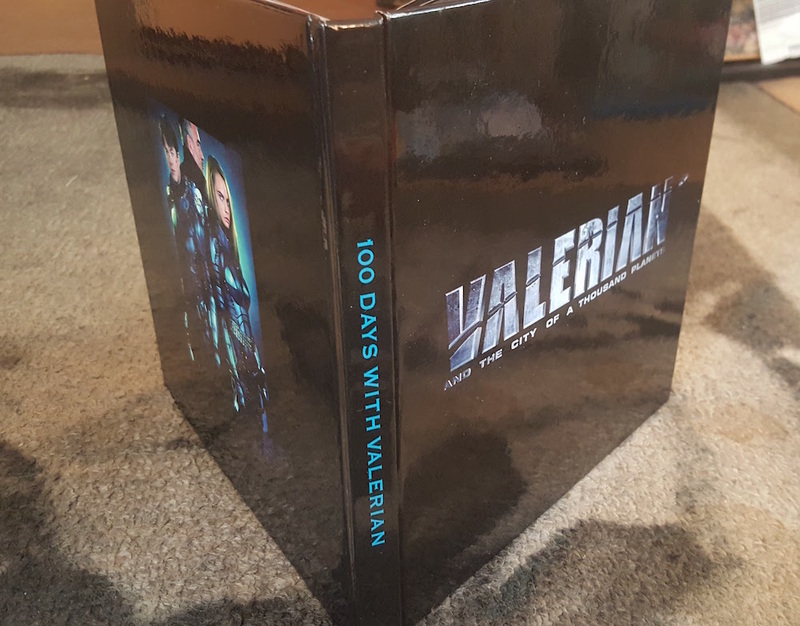 CS received a hardbound book that collects more than 100 behind the scenes Valerian photos, accompanied by a note from Besson himself. 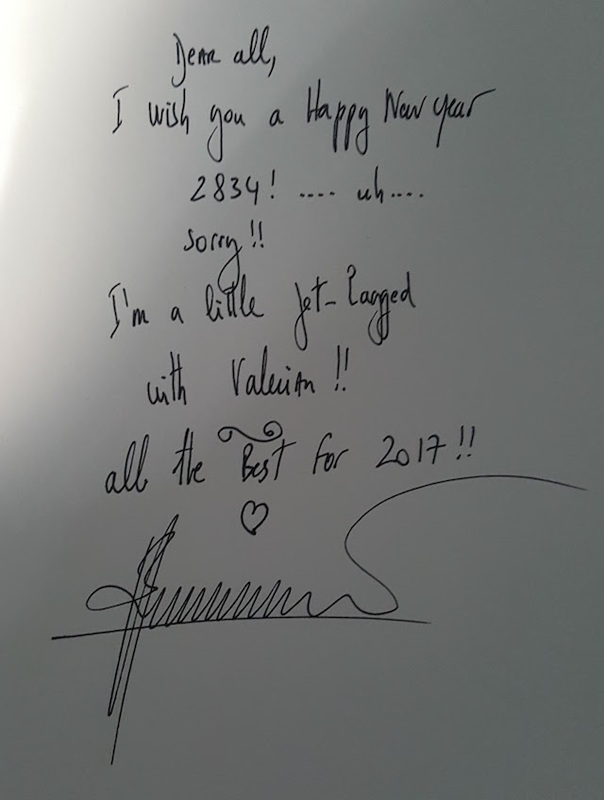 Check out his message below and then explore the full behind the scenes Valerian photos in the gallery viewer at the bottom of this page! 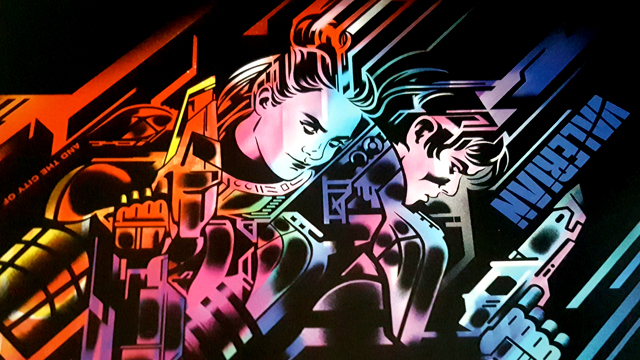 Based on the classic European graphic novel series, “Valerian and Laureline,” (specifically the sixth book, “Ambassador of the Shadows”), Valerian and the City of a Thousand Planets stars Dane DeHaan and Cara Delevingne as the title characters, special operatives for the government of the human territories and charged with maintaining order throughout the universe. Valerian has more in mind than a professional relationship with his partner, blatantly chasing after her with propositions of romance. But his extensive history with women, and her traditional values, drive Laureline to continuously rebuff him. A EuropaCorp production, Valerian and the City of a Thousand Planets opens in theaters on July 21, 2017.